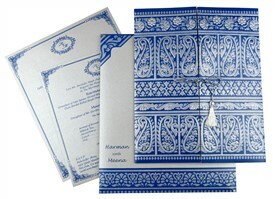 D-221, Blue Color, Designer Multifaith Invitations, House Warming. 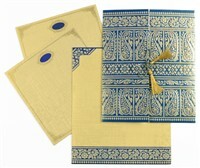 The gates of heavenly happiness are opening up to you. 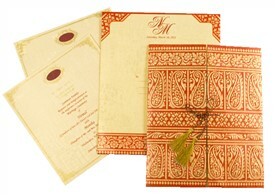 This is the best way to represent such a special occasion. 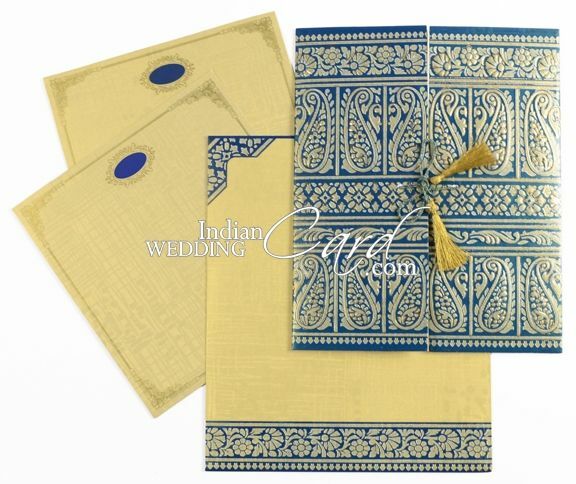 A gem of a card, this blue colored door-open design card has an amazing front design. 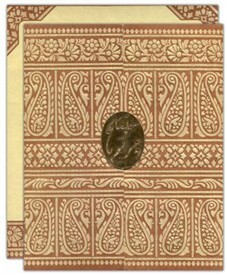 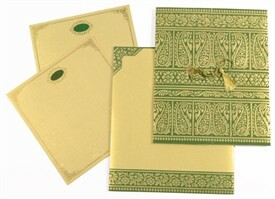 There are self-embossed floral and paisley image strips. 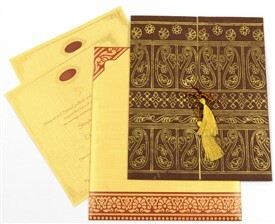 Through the application of the intricate Zari work on the images the essence of exuberating emotions is brought alive. 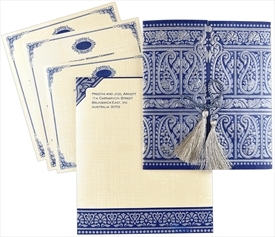 There are silken tassels tying up the front. 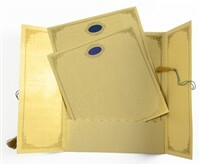 The inside of the door-open flaps are in golden textured sheet and have golden design frames. 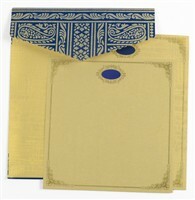 The docket flap is plain and the two inserts in ascending sizes have golden design frames and a golden-bordered blue display window. 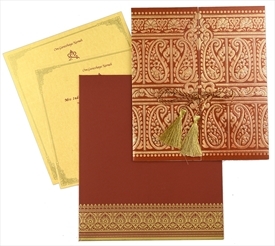 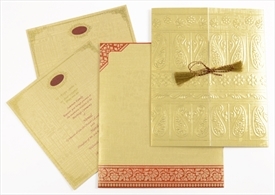 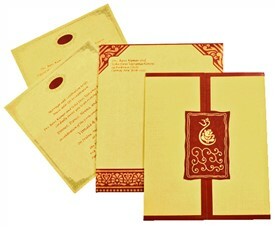 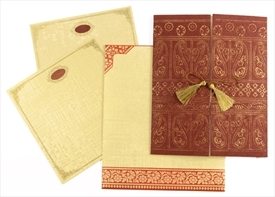 The mailing envelope in golden textured sheet follows the front’s design.